Permanent Installation made possible by generous donation from Mr. and Mrs. David Groce, Maria Popova, Astronomy and Astrophysics Department of Caltech, and Creative/Scholarly Grant from Chapman University. 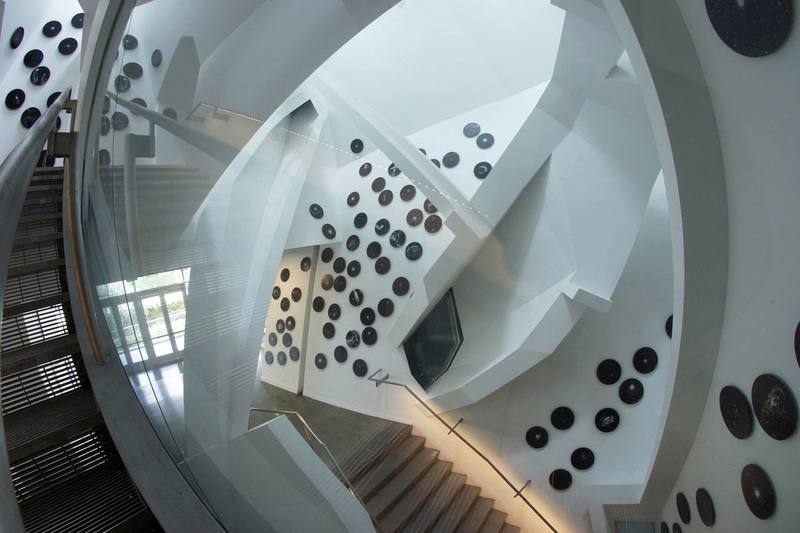 Project facilitated by Ann Rho and Dr. Sterl Phinney of Caltech, Installation design by David Ross. Curated by Dennis Christie. Studio team: Adam Ottke, Garret Hill, and Jennifer Seo. Special gratitude to Dr. Kip Thorne for making this project possible. 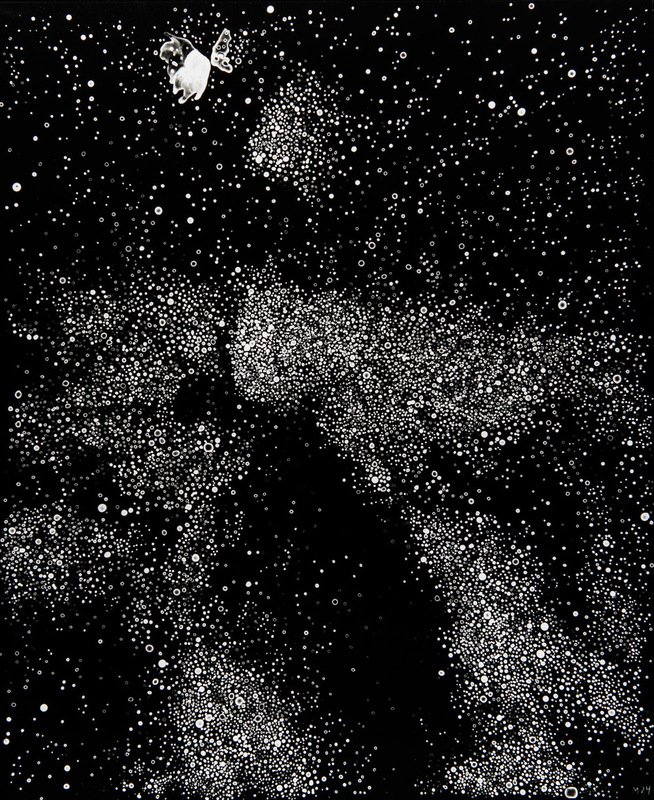 Los Angeles-based artist Lia Halloran tests the boundaries between seeing, classifying, and reproducing deep-sky objects against those catalogued by French astronomer Charles Messier. 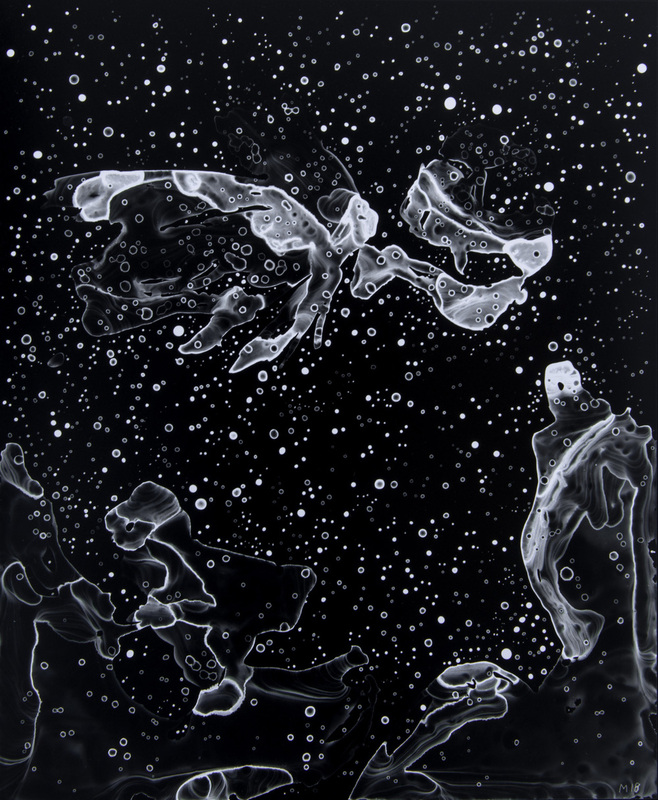 Her new site-specific work, Deep Sky Companion, is both an adaptation and variation on the visual data comprising Messier’s 110 deep sky objects that he observed in his attempt to chart comets (when, in fact, he had “accidentally” observed whole galaxies and interstellar nebulae). 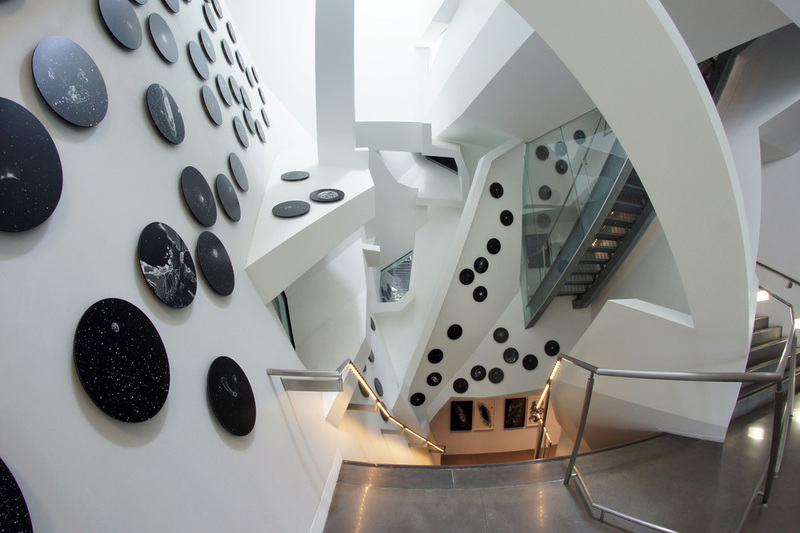 Halloran’s exhibition site is architect Thom Mayne's building for the Cahill Center for Astronomy and Astrophysics at the California Institute of Technology. Slanted ceilings, extreme planes, and every possible expression of asymmetry are ideal settings for Halloran’s iterations of Messier’s amorphous cosmic bodies. The works climb upwards through three stories at varying distances from the viewer; installation directly mimics the inherent difficulty a person would experience in looking at objects in deep space. Halloran collaborated with architect David Ross, of the Frederick and Fisher Partners Architects and past student of Thom Mayne, on the physical and structural layout of the exhibition. 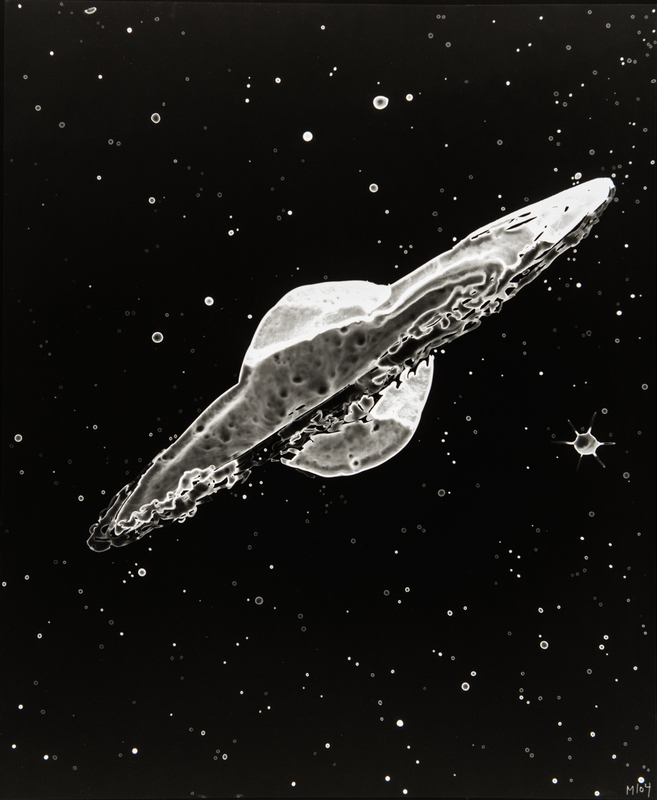 The works themselves are divided into two formats: self-animating blue ink on drafting film (just as light and matter travel gracefully through deep space, so does this deep-blue ink across a print) and camera-less prints on photosensitive paper which appear in a similar way to specks of light appearing against the vacuum of deep space. There are one or more “coincidences” in her process relating to that of Messier’s sequential cataloguing of celestial bodies; shapes, densities, shades, and compositions are mostly matters of chance when dealing with her inks and prints, but Halloran’s methods are entirely premeditated. She has selected a subject in Messier himself that communicates both his frustration and wonder in equal parts. While he was searching out comets, his actual results proved to be ever greater in scope, far greater than he could see or quantify. 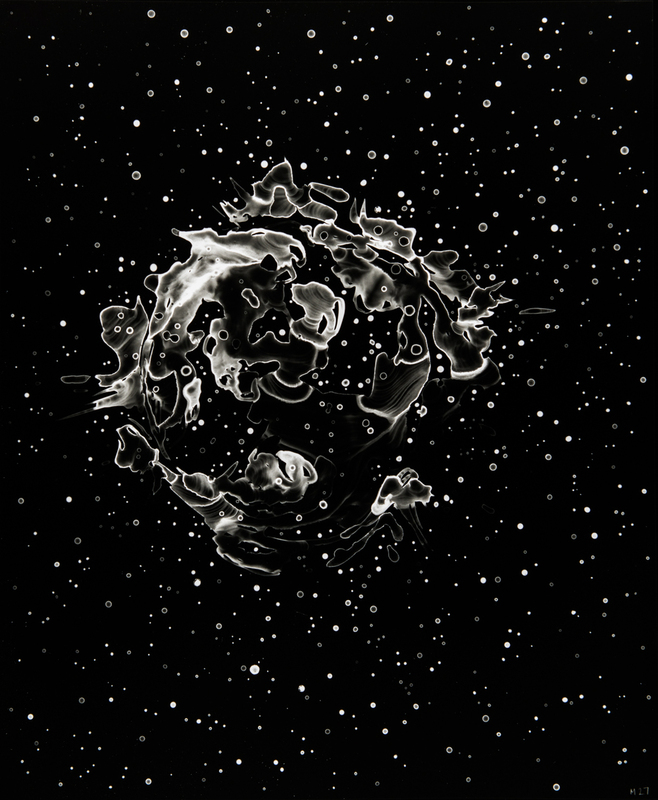 Our own observations transform and fluctuate, based on what technology makes available, but both the artist and the astronomer will push further into interpreting what sorts of phenomena our universe holds. Halloran’s work echoes Messier’s own discoveries as those which are open-ended and unresolvable. In other words, what appears on Halloran’s films are progressive, changeable things rather than permanent markers. This exhibition has been made possible by the generous support of Dr. and Mrs. David Groce, the Caltech Department of Astronomy and by Chapman University and the Office of the Chancellor’s Scholarly and Creative Activity Grant. The exhibition is accompanied by a catalog designed by Claudine Jaenichen, containing contributions from Lia Halloran, Kip Thorne, Shana Beth Mason, and many Caltech scientists.